Plants and other multicellular organisms need a precise spatio-temporal control of gene expression during their development, and to respond to changes in the environment and defend their genome. In part, this regulatory capacity resides at the RNA level through small RNA-directed gene silencing. MicroRNAs are one of the classes of small RNAs that have 21 nt and fulfill essential regulatory roles. They usually recognize target mRNAs by base complementarity and guide them to cleavage or translational arrest. Our laboratory is currently interested in the biogenesis of these small molecules and their specific functions in plants. The experimental approaches aim to address fundamental mechanistic questions using the model system Arabidopsis thaliana, but the lab also seeks to develop tools of practical relevance that can be applied to plants of agronomic importance. MicroRNAs are distinguished from other small RNAs by their unique biogenesis, which involves a precise excision from the stem of a fold-back precursor located in a long primary transcript. The type III ribonuclease DICER-LIKE1 (DCL1) with the aid of the accessory proteins cleaves the precursors to release the microRNAs. However, plant microRNA precursors come in different sizes and shapes, and we are interested in understanding how these precursors can be processed to generate the mature microRNAs. We have found that many precursors are processed in a base-to-loop direction, while others are processed by a non-canonical loop-to-base mechanism. We use a combination of approaches to study microRNA processing, including the analysis of libraries of random mutant precursors, the identification of processing intermediates with the aid of next generation sequencing techniques, as well as structural studies in collaboration with the groups of Jerome Boisbouvier and Rodolfo Rasia. In plants, many of the evolutionary conserved miRNAs regulate transcription factors, which in turn play key biological functions. Perturbation of these miRNA regulatory networks, by mutations in microRNAs encoding genes or by interference with their activity usually causes severe developmental defects. We are interested in identifying the targets of plant microRNAs, as well as their biological functions. The lab also focuses in the control of cell proliferation and differentiation by two microRNAs, miR396 and miR319. Ercoli MF, Ferela A, Debernardi JM, Perrone AP, Rodriguez RE, Palatnik JF. GIF Transcriptional Co-regulators Control Root Meristem Homeostasis. Plant Cell. 2018. *Highlighted article: Design Stars: How GRF-INTERACTING FACTORs Help Determine the Layout of the Root Tip. Plant Cell. Chorostecki U, Moro B, Rojas AML, Debernardi JM, Schapire AL, Notredame C, et al. Evolutionary Footprints Reveal Insights into Plant MicroRNA Biogenesis. Plant Cell. 2017. Rodriguez RE, Schommer C, Palatnik JF. Control of cell proliferation by microRNAs in plants. Current Opinion in Plant Biology. 2016. Rodriguez RE, Ercoli MF, Debernardi JM, Breakfield NW, Mecchia MA, Sabatini M, et al. MicroRNA miR396 Regulates the Switch between Stem Cells and Transit-Amplifying Cells in Arabidopsis Roots. Plant Cell. 2015. *Highlighted: Plant Cell Cover. Debernardi JM, Mecchia MA, Vercruyssen L, Smaczniak C, Kaufmann K, Inze D, et al. 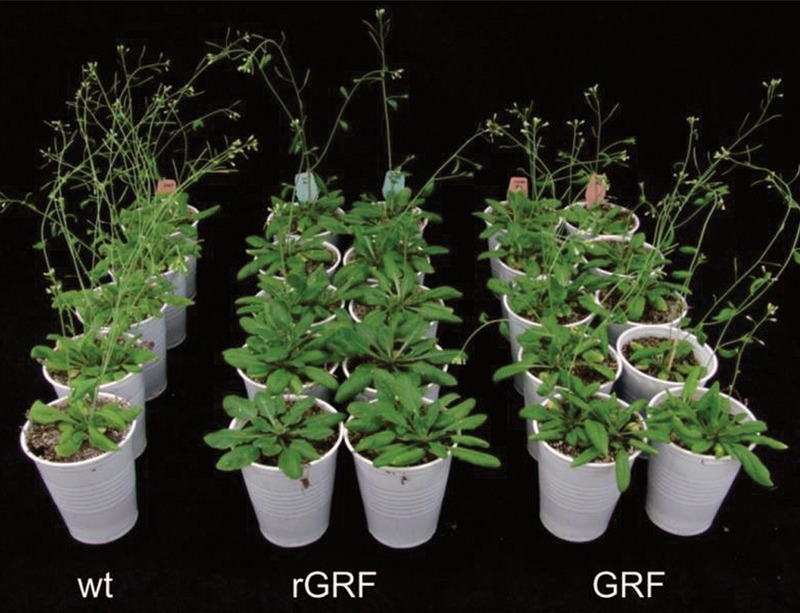 Post-transcriptional control of GRF transcription factors by microRNA miR396 and GIF co-activator affects leaf size and longevity. Plant Journal. 2014. Chorostecki U, Palatnik JF. comTAR: a web tool for the prediction and characterization of conserved microRNA targets in plants. Bioinformatics. 2014. Schommer C, Debernardi JM, Bresso EG, Rodriguez RE, Palatnik JF. Repression of cell proliferation by miR319-regulated TCP4. Molecular Plant. 2014. Bologna NG, Schapire AL, Zhai J, Chorostecki U, Boisbouvier J, Meyers BC, et al. Multiple RNA recognition patterns during microRNA biogenesis in plants. Genome Research. 2013. Debernardi JM, Rodriguez RE, Mecchia MA, Palatnik JF. Functional Specialization of the Plant miR396 Regulatory Network through Distinct MicroRNA-Target Interactions. PLoS Genetics. 2012. Chorostecki U, Crosa VA, Lodeyro AF, Bologna NG, Martin AP, Carrillo N, et al. Identification of new microRNA-regulated genes by conserved targeting in plant species. Nucleic Acids Research. 2012..
Rodriguez RE, Mecchia MA, Debernardi JM, Schommer C, Weigel D, Palatnik JF. Control of cell proliferation in Arabidopsis thaliana by microRNA miR396. Development. 2010. Mateos JL, Bologna NG, Chorostecki U, Palatnik JF. Identification of microRNA processing determinants by random mutagenesis of Arabidopsis MIR172a precursor. Current Biology 2010. Bologna NG, Mateos JL, Bresso EG, Palatnik JF. 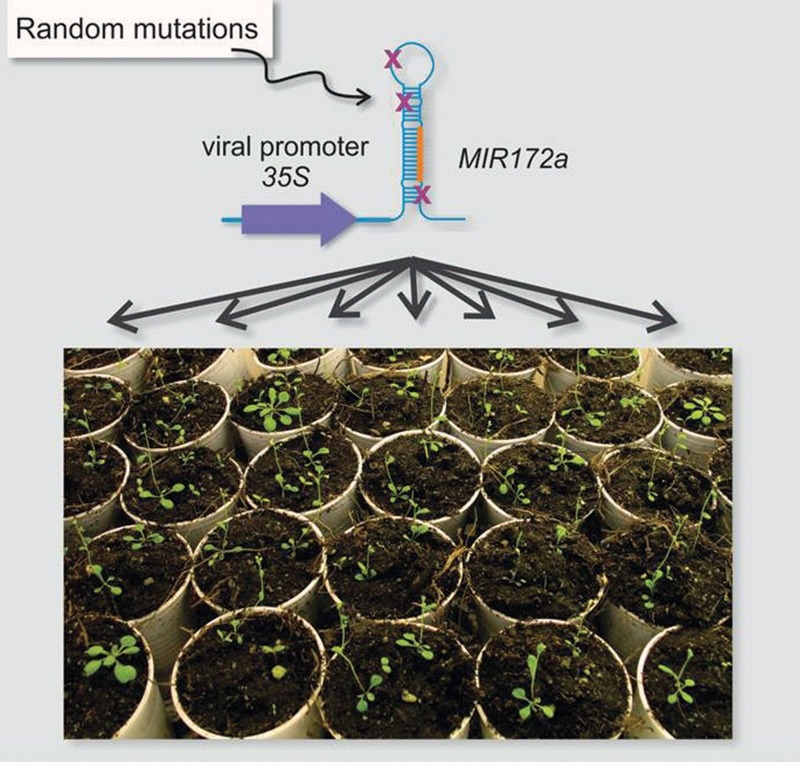 A loop-to-base processing mechanism underlies the biogenesis of plant microRNAs miR319 and miR159. Embo J. 2009. *Highlighted article: MicroRNA processing turned upside down. EMBO J.
Centro Internacional de Ingeniería Genética y Biotecnología (ICGEB). Desarrollamos nuevas metodologías por mutagénesis al azar para estudiar la biogénesis de microARNs en plantas. 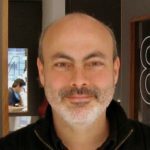 El aumento de biomasa en las plantas transgenicas rGRF son uno de los ejemplos de las aplicaciones tecnologicas de los microARNs.